Thai Amavasya that falls on 16-Jan-18 is considered very auspicious as it coincides with the Kari naal. This coincidence happens only once in 150 years. It is very important to perform the Pitru karma on this Thai Amavasya day. Other days when Pitru karma can be performed? Pitru karma is performed generally in the month and thithi on which the forefather expired. People also perform pitru tarpan on all amavasya days. 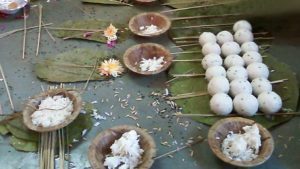 If it is not possible to perform tarpan on that thithi and month then people perform a tharpan on Thai Amavasya, Adi ammavasya and Puratassi amavasya. It is said that our pitrus (forefathers) are much powerful that the Gods they can enhance or kinder the wishes and blessings that are showered on us by the Gods. ( We will see a separate post on this later.) Hence it is considered very important to perform the pitru tarpan. So now how are we supposed to pray to our Pitrus on Amavasya? 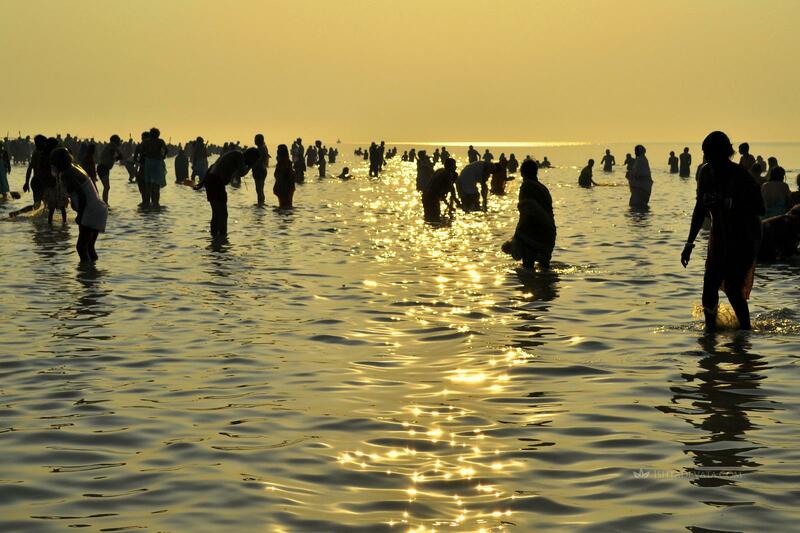 On the day of Amavasya, men performing the tarpan take bath in a river, sea or any water body and then offer tarpan. It can even be done during Raghu kala and Yama kanda ,Raghu kala and yama kanda are not taken into consideration while performing tarpan. Afternoons are considered auspicious to perform tarpan. While performing tarpan always face east. While performing Tarpan the men have to have their Kothiram, Kula devata and names of three generation forefathers handy. After returning from tarpan, clean the pictures of the forefathers and apply kumkum and sandal on it. Garland them and place it in the northeast side facing the southern direction. Also offer your pitru’s favourite food. Offering wheat and greens to the cow is considered auspicious. Don’t s on Amavasya Day. 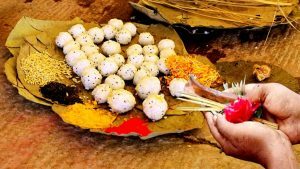 People generally postpone the daily pooja rituals until they finish the pitru tarpan. Non veg is avoided on the Amavasya day. Few people avoid onion and garlic. Do not borrow black sesame seeds from others for the tarpan. Tarpan should not be performed on land while standing in water and vice versa. On the Amavasya day people offer food for the crows, know the reason and the story related to it.